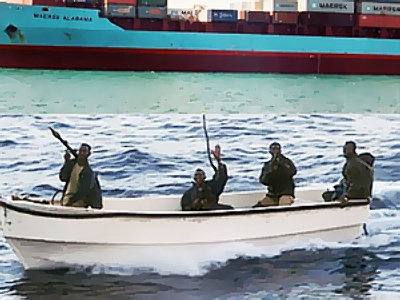 Pirates off the coast of Somalia are still a major threat to commercial shipping despite a large-scale international military effort to net them. Thirty-one international warships are now patrolling the Gulf of Aden. In the last month, the number of attacks has decreased compared to the same time last year, but some military officials say that may be due simply to bad weather. 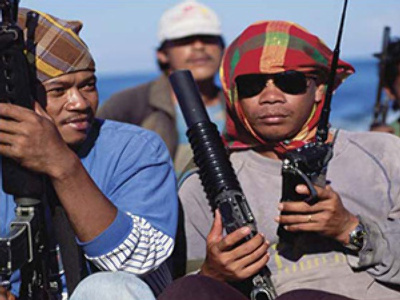 The crews of four vessels are reportedly being held by pirates in Somalia at the moment. 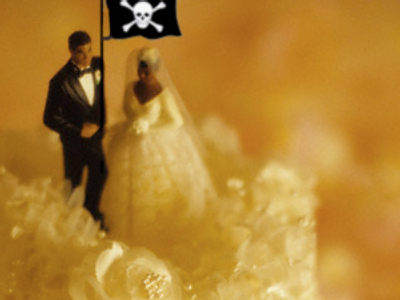 Yemen is among the few countries that have decided to put Somalis on trial for piracy. The international naval forces are stepping up patrols in the pirate-infested Gulf of Aden. More hijackers are being caught in these waters, but it hasn’t got rid of the problem. Pirate attacks on merchant vessels have doubled since 2008. Civil War and famine have been fueling lawlessness and anarchy in Somalia since 1991, when the government there collapsed. It has made the area off the Somali coast a perfect place for pirates. But for the rest of the nation it’s been a disaster. Almost one million people fled Somalia in 2008 alone. And most of the refugees come to Yemen. Nearly 5,000 refugees are being kept in the Basateen camp near Aden. They have no jobs, no prospects for the future, and yet none of them want to get back to their war-torn country. Eighteen-year-old Osman Bukhari came to Basateen by boat from Boosaaso in Somalia’s Puntland state, where he used to live under one roof with the pirates. He was running small errands for the hijackers and they even played soccer together. In April of 2009, they hijacked yet another ship. “The ship was called Maersk Alabama from America. It was delivering food to Kenya. They kidnapped the captain of the ship,” Bukhari recalls. “Why do the pirates do that? There’s no government, there’s a civil war going on, there’s nothing to do, no job, so they found themselves a job – kidnapping people,” he says. The Yemeni Coast Guard has 25 patrol vessels, but only one of them is equipped with a mounted machine gun. The territory they patrol stretches about 500 kilometers along the coastline, a huge area for a small, under-equipped coast guard fleet. Although they try to respond to all distress calls, they have to rely heavily on help from international naval forces.